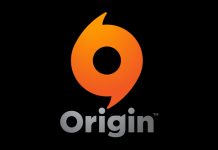 In the excitement and anticipation of a potential Create-a-World tool in the works, I’ve put together a list of 18 world ideas that I’m keen to make myself, should the rumours of a Create-a-World come to fruition! 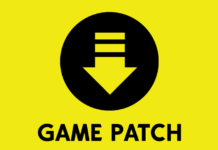 This is just a fun little thread to keep the buzz around the CAW feature alive, now that we’re finally getting some answers. 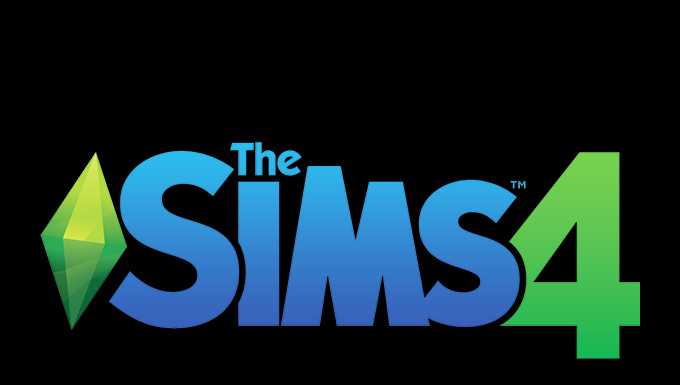 For inspiration, I’ll be using all of the packs from The Sims 4 -that do not already come with their own worlds i.e the stuff packs- to build up a brainstorm of worlds that fit the themes of those packs. 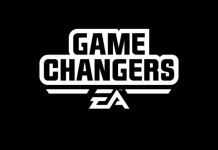 This includes every stuff pack, 3 of the game packs, and finally of course Seasons! 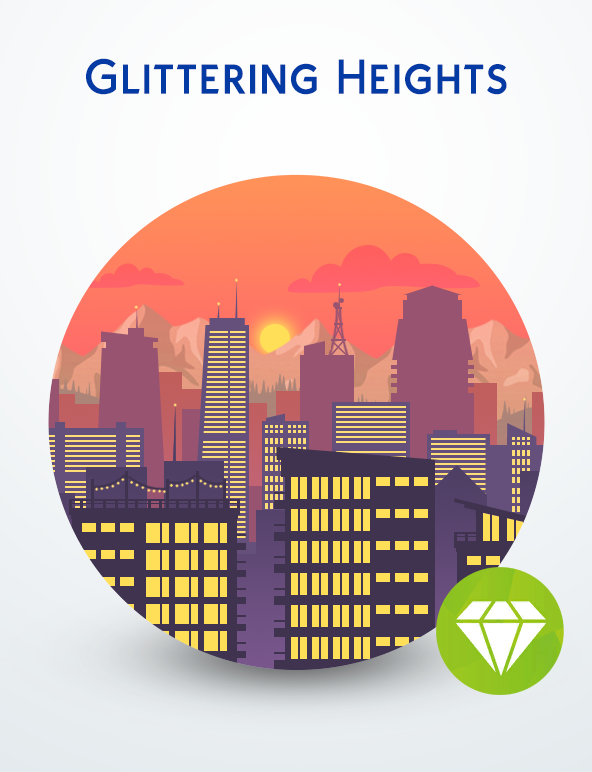 First up is Glittering Heights, a modern city with plenty of high rise apartments, luxury penthouses, and rooftop lounges, the ideal location for hosting a soirée or dancing the night away with The Sims 4 Luxury Party stuff. 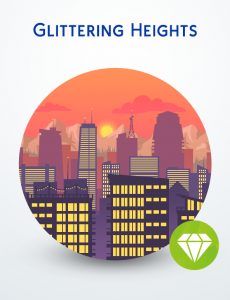 Glittering Heights is home to a high-class society of wealthy Sims and socialites, which makes this city a thriving hot spot for young rich kids looking to host their next extravagant party! Out of the limelight of the main city is Glitter Harbour, a picturesque waterfront neighbourhood dotted with fancy apartment buildings. Snowdrift Pines is a chilly alpine village surrounded by towering snow-capped mountains and dense evergreen forests. Fire up the hot tub, lay back and chillax in one of the premium lodges as you enjoy The Sims 4 Perfect Patio stuff. Nobody really goes to a ski lodge to, you know, ski… You go for the jaw-dropping views and the bottomless mugs of hot chocolate! 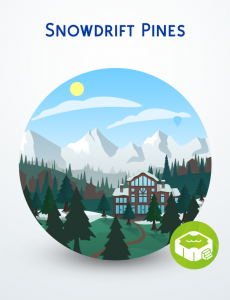 Cosy up by the fireplace with your special someone and watch the delicate snow cascading from the sky, all from the safety and comfort of your winter lodge. 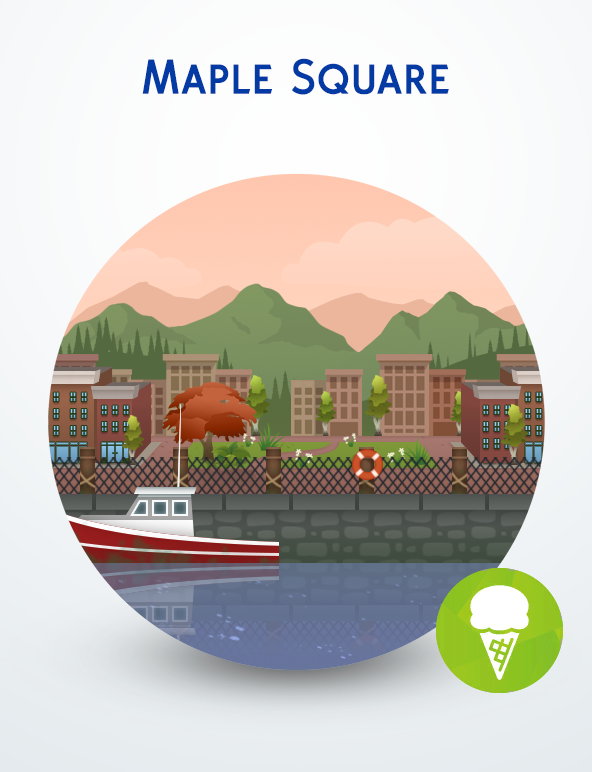 Maple Square is a quaint old-town plaza, nestled on the brisk Sugar Maple coastline. Many of the local residents moved to Maple Square to escape the hustle and bustle of the big city, for a more peaceful lifestyle. The streets around Maple Square are lined with picturesque chocolate-box shops that sell quirky knickknacks and really, really good ice cream! Wrap up warm and enjoy a decadent bowl of Sugar Maple Coast’s world famous ice cream with The Sims 4 Cool Kitchen stuff. With a blood-red sunset sky heralding the coming of night time, trees begin to creak in the howling wind and the valley is cast into complete darkness. 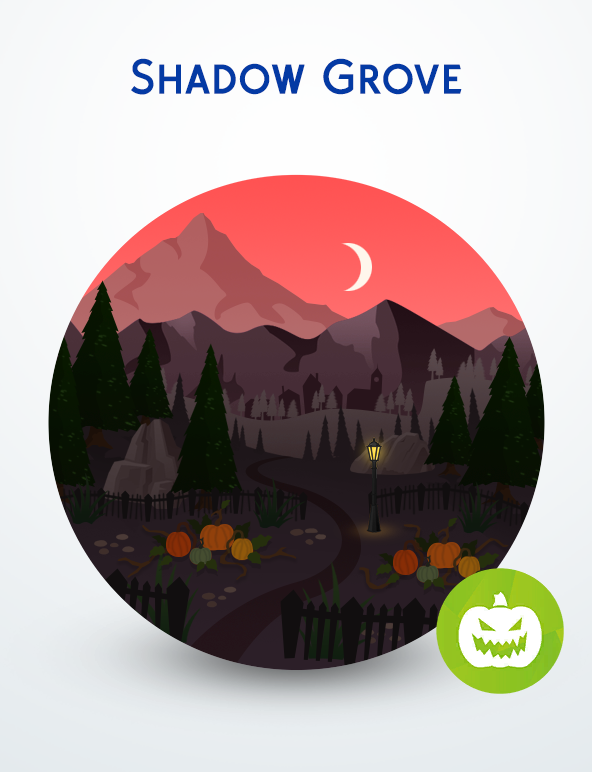 Shadow Grove’s spine-chilling atmosphere has made it the go-to destination to celebrate spooky day with The Sims 4 Spooky stuff! 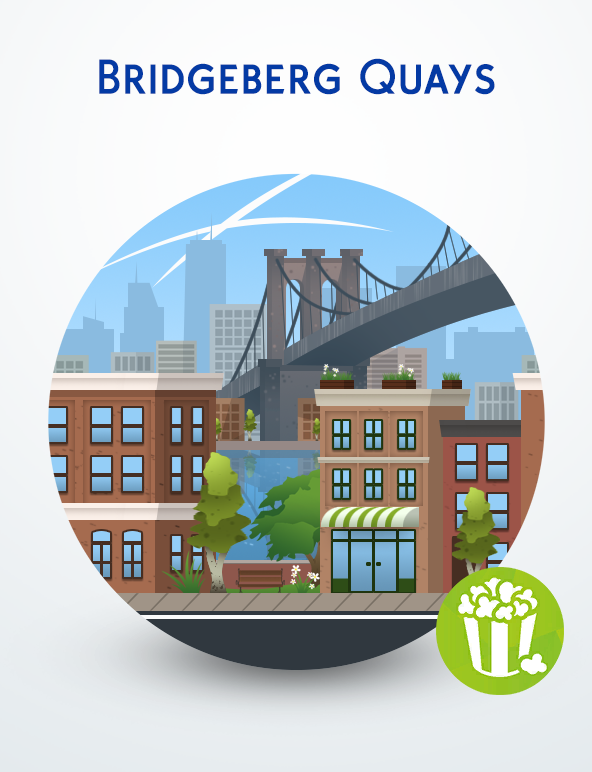 Once a run-down neighbourhood riddled with crime, Bridgeberg Quays is now an up-and-coming bohemian community, full of hope and optimism! After the construction of a new local police precinct drove away all of the hoodlums and vandals, crime went down, and residents began to restore the neighbourhood to it’s former glory. A group of travellers moved into the area and helped to build new parks and gardens, giving Bridgeberg Quays a new lease of life. 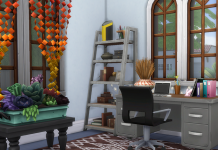 Celebrate the bohemian lifestyle by decorating your apartment with the Sims 4 Movie Hangout stuff. Property of the affluent Lord and Lady Rosebud, this manicured estate is home to many wealthy aristocrats, entrepreneurs and socialites. 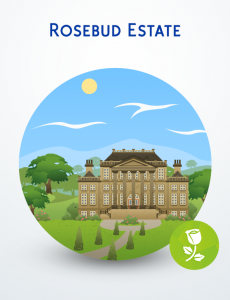 Rosebud Estate is a gated community spread out over nearly 100 acres of private land, dotted with manors and stately homes, and surrounded by pristine woodland. The lush gardens here are cared for by a team of prestigious landscapers, and flaunt intricate marble statues imported from far abroad. Delight in the opulence of Rosebud Estate with the Sims 4 Romantic Garden stuff. 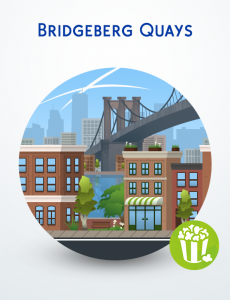 Midtown Avenue is a quaint and quiet little town on the outskirts of the busy city, dividing the peaceful suburbs from the chaotic urban environment. 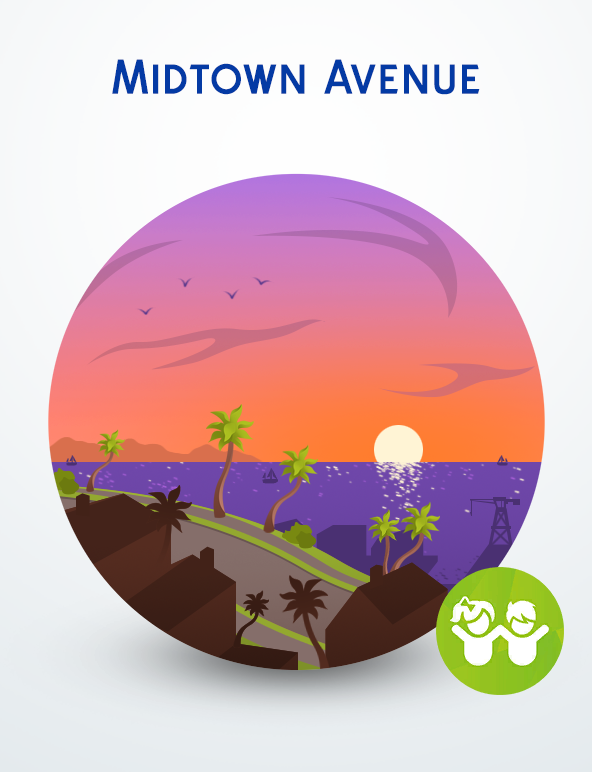 It is a very kid-friendly neighbourhood and as such is home to many families. The main street runs straight through the centre of town leading down to the city harbour, and further uptown nestled in the hills are the suburbs. The comic book store is one of many fun places for the kids to hangout and trade Voidcritter cards or put on a puppet show with the Sims 4 Kids Room stuff. Sunset Shores is an idyllic seaside beach town, just downtown of Sunshine City. It’s gorgeous sandy shoreline is a popular destination for young Sims looking to escape for Spring Break, and there are plenty of bars and clubs lining the promenade, to keep your Sims partying well past sundown. 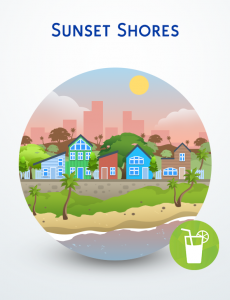 Water slides, lemonade and a quick dip in the pool, are a great way to keep cool in the sweltering heat of the tropical sun, and when the party’s over, head back to your beach house for a smoking sunset barbecue, there’s plenty of fun to be had in the Sims 4 Backyard stuff! 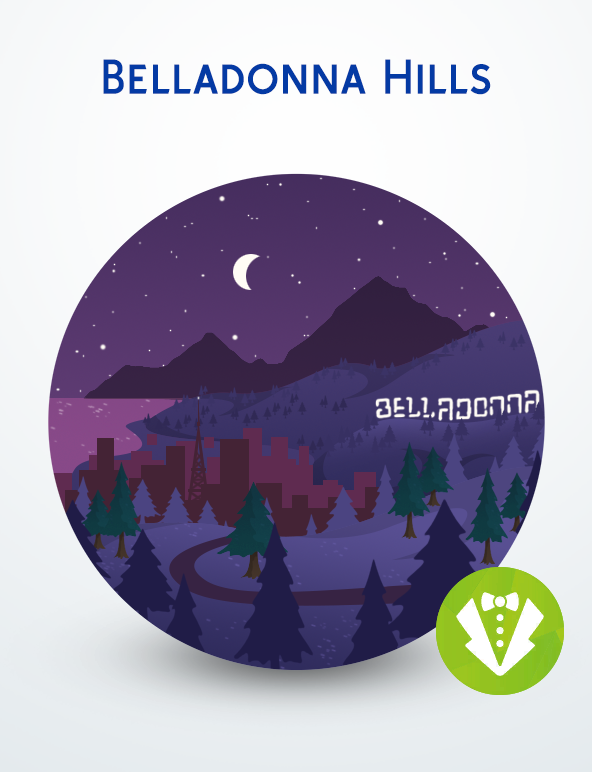 Tucked away in the fabulous Belladonna Hills, and hidden from the intrusive gaze of the paparazzi, are the homes of societies most elite. The wealthy and famous all live here, entrepreneurs, singers and movie stars, they all spend their downtime relaxing in these luxury mansions. Overlooking the stunning skyline of Belladonna Cove, these glamorous houses flaunt the perfect combination of privacy, open space, and beautiful vistas. 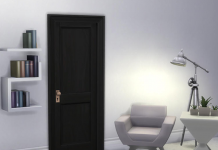 Not everyone can afford to live in such an affluent community, but if you’re one of the lucky few, enjoy this sheer luxury with the Sims 4 Vintage Glamour stuff. 10 Pin Lane certainly isn’t a place of tranquility, this bustling neighbourhood is bathed in the luminescence of a thousand neon signs and endlessly thunders with the sound of weighty bowling balls hurtling down varnished alleys. But anybody who’s anybody in the bowling community has played the lanes here. 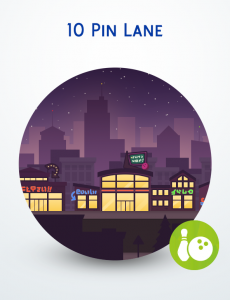 There are 5 bowling alleys to choose from with the Sims 4 Bowling Night stuff, each with their own unique charm and style, and after the game has ended, head over to Wanda’s Burger Bar and Milkshake Shack for a delicious meal out with your bowling buddies. The striking verdant green of this valley against the savage sterility of the surrounding desert is quite a breathtaking sight! As the sun rises over the dunes, it’s warming rays ignite the moisture covered plants, creating a sea of glistening green, gleaming like a jewel in the desert. 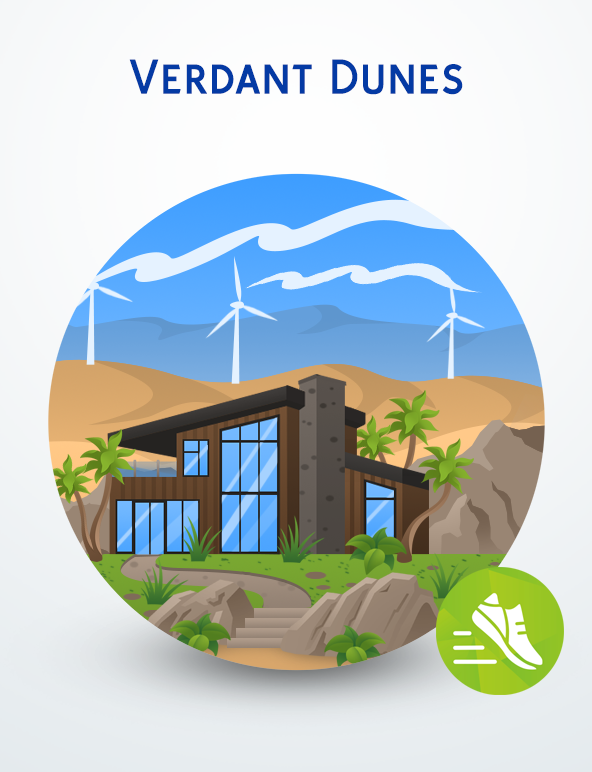 The architecture here is constructed completely from recycled and upcycled materials, with energy efficient lighting and electronics powered by the local solar batteries and wind farms, Verdant Dunes really is a sustainable and carbon-neutral society. 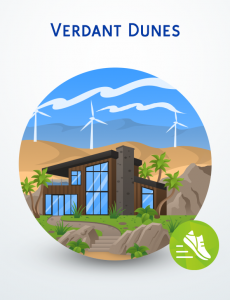 The wide, open spaces and fresh desert air make for a great workout space, and the eco-friendly accommodations and green lifestyle means your Sims can enjoy the Sims 4 Fitness stuff without the worry of creating a carbon footprint! 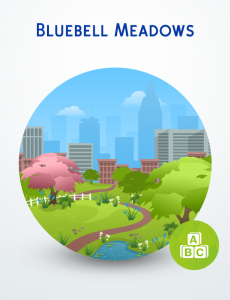 Bluebell Meadows is a serene central park, and a sanctuary for those looking for a few hours of peace and quiet away from the hustle and bustle of city life. With 3 large garden parks all connected by flagstone pathways, dotted with ponds and streams for that relaxing sound of trickling water, shady areas under the trees to escape from the hot summer sun, and playground equipment for the kids to hang out on, this is the perfect place to take the family on a day out! 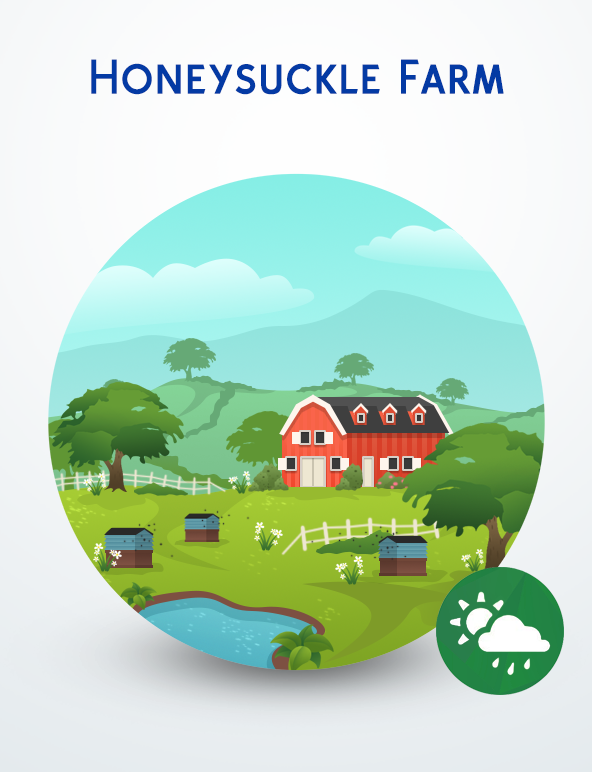 Pack up a picnic, round up the kids and head on down to Bluebell Meadows with the Sims 4 Toddler stuff. 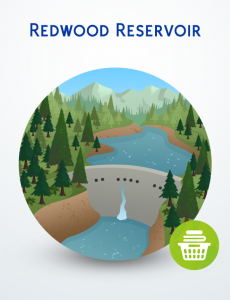 Redwood Reservoir is an off the grid community, with basic electrical essentials powered solely by the nearby dam. The town is out of sight of the main highway running over the dam, concealed by a dense coverage of towering redwood trees. Most of the residents here are farmers, lumberjacks and fishermen, living off the land in rustic log cabins, with their only modern comforts being plumbing and electrical lighting. The country-style outfits and furniture from the Sims 4 Laundry Day stuff is the perfect fit in this rural community. Aspen Apartments is a small and friendly downtown neighbourhood, with cheap starter homes perfect for young Sims ready to leave the nest, or newly weds looking for a space to start a family. With pleasant views of the surrounding city skyline, studio lofts, rooftop gardens, small parks for recreation, coffee shops and more, this is a great community for those with a small income. 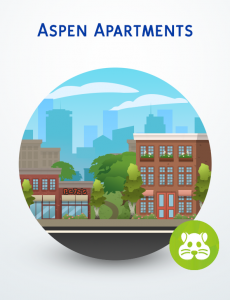 Although compact, these apartment buildings are close to lush parks and green spaces, perfect for households with cats and dogs, or if you’re looking for something a little smaller, why not adopt a cute little hamster with the Sims 4 My First Pet stuff, they’re small and easy to care for, and great if you’ve not got the spare space for a larger pet! Sometimes you’ve just got to get away from the stresses of everyday life, and what better place to wind down and detox than a calming mountain retreat? 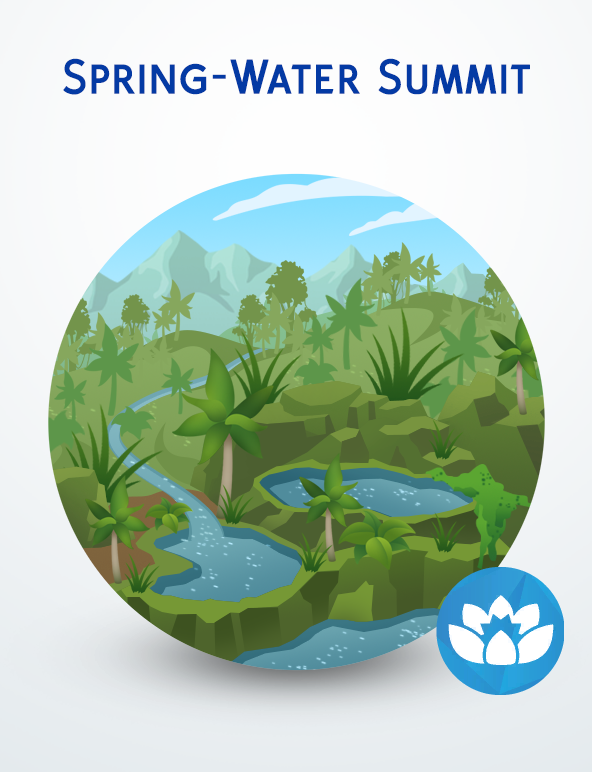 Spring-Water Summit is a lush spa getaway, hidden away in the dense forests of the Simasian mountainside. So book your flight for a soothing weekend away, relaxing in a luxury Japanese-themed hotel. Complete with calming massages, bracing walks in the fresh mountain air, steamy saunas, and a warming dip in the local hot springs. Your Sims will feel rejuvenated after spending a weekend in the mountains with the Sims 4 Spa Day! Nothing in the fridge except cold pizza? 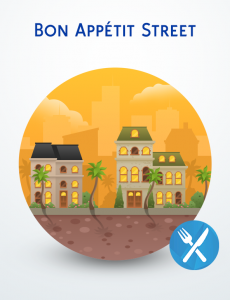 It’s time to take your Sims out on the town for a meal they’ll never forget with the Sims 4 Dine Out! The irresistible smell of French cuisine wafts through the air of Bon Appétit Street, an elegant Parisian district packed full of restaurants and bistros. From cheaper establishments serving traditional peasant dishes, to lavish fine dining at a posh rooftop garden, Bon Appétit Street serves all manor of customers. So pull up a chair and pour yourself another glass of Riverblossom Cranerlet Nuala, just be sure not to fill up on bread! 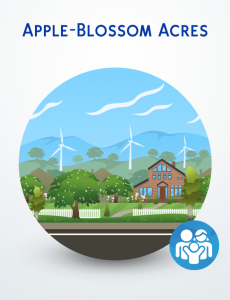 A friendly community with acres of open spaces and beautiful manicured parks, Apple-Blossom Acres is the ideal neighbourhood for big families spanning multiple generations. With large modern suburban homes and sprawling backyards, there’s plenty of space to raise the kids in a comfortable environment, with the Sims 4 Parenthood, and even enough room to build a guest house out back for the in-laws! 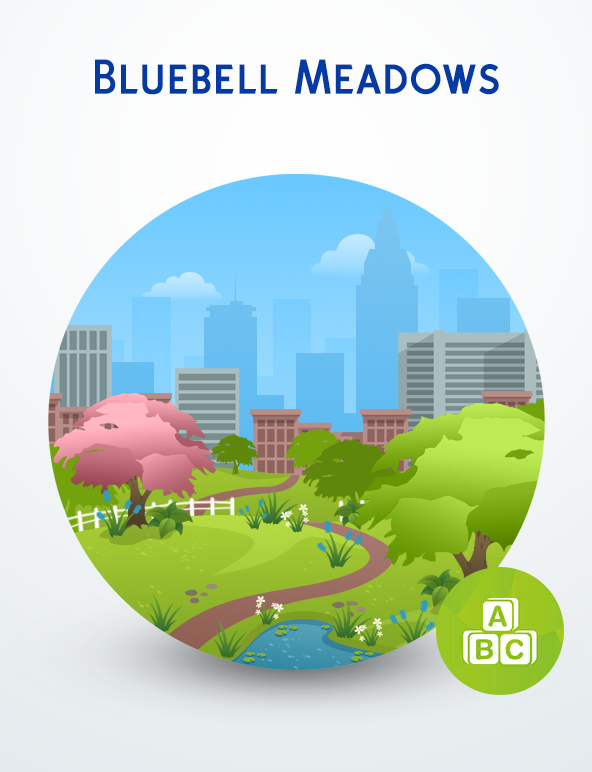 Public parks and gardens are a great spot to walk the dog or take the kids out for a day at the playground, or just chill out in the backyard by the pool. 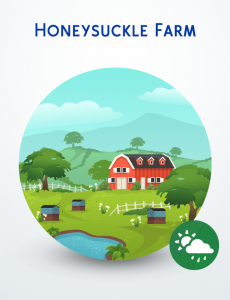 Honeysuckle Farm is an off-the-grid, self sufficient community of farmers, who grow a wide range of produce to sell to the local towns and cities. All of the residents here have green thumbs and love to potter around in the muddy fields all day, growing potatoes, onions, carrots, tomatoes, and many other highly demanded crops. Some of the younger farmers have also taken up beekeeping to help pollinate the farms crops, and maybe even get a little honey on the side. 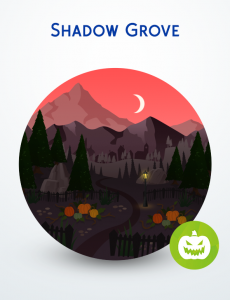 Enjoy everything the countryside has to offer with the Sims 4 Seasons! Well I hope you’ve enjoyed reading my world ideas, let me know which is your favourite, and if we do ever get a the Sims 4 Create-a-World tool, what sort of world would you make?